Designed to fit in the overhead of most domestic airlines. Main compartment expands maximizing space and packing flexibility. Cruise Soft by Delsey Paris is made for the traveler who is looking for durable luggage with exceptional organization options. 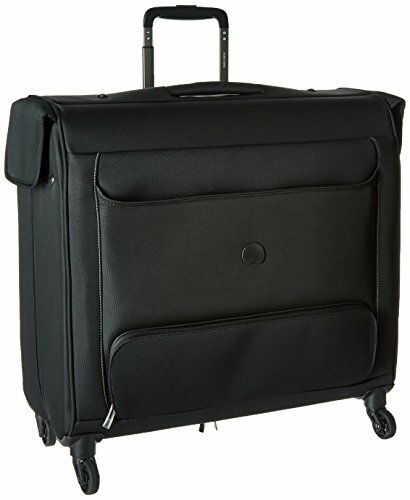 This spinner garment bag is fully featured to make your next trip a breeze. This check in sized bag is fully featured to easily transport clothing to minimize wrinkles. The exterior of this case includes a large zippered pocket for easy access to last minute items, a rubberized TPR non slip grip on the dual locking trolley handle, a recessed top carry handle, as well as an injected kick plate and reinforced corners for additional protection. 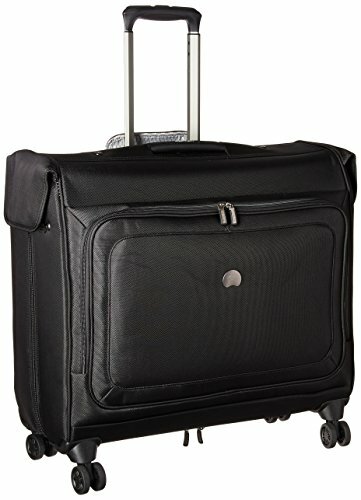 The interior of this garment bag has a book opening design with a universal clamping system and provides multiple organization options including tie down straps, two zippered compartments for personal items, an extender panel with folding bar for longer garments like dresses or suits, two shoe pockets, two corner pockets for belts, ties, and small items, two hooks for use over a door or on a closet rod and a suiter clip. The Cruise Soft collection is protected by a Worldwide Limited 10 Year Warranty. Cruise Soft by Delsey Paris is made for the traveler who is looking for durable luggage with exceptional organization options. This 25 inch suitcase is fully featured to make your next trip a breeze and includes Elsey's 2nd Generation Overweight Indicator which determines if your packed case is over 50 pounds, which saves you incremental airline fees. The two front exterior pockets and a side easy-access compartment for shoes, toiletries or return home laundry make organizing your belongings easy. 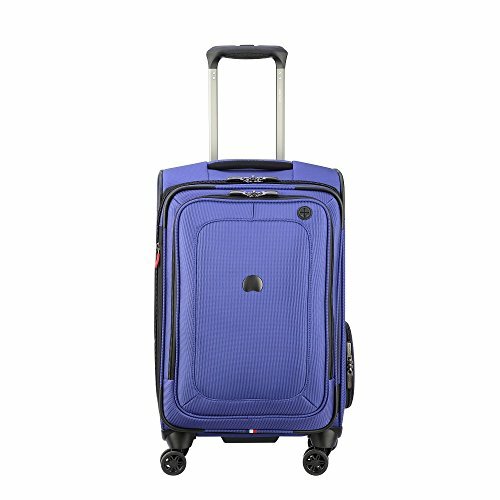 This case is maneuvered on double spinner wheels by a dual locking trolley handle with a neoprene non slip grip as well as a recessed neoprene cushioned top and side carry handle, which make lifting a fully packed case more comfortable. The interior of this case has a suiter clip, elastic tie down straps, 3 zippered pockets, a zippered divider in the lid for maximum organization, and expands up to 2 inches. The bag is made of ballistic nylon, which is extremely resilient and constructed for long lasting use. It also features extra rubberized protection around the corners of the case as well as an injected kick plate to offer additional protection at key stress points. The Cruise Soft collection is protected by a Worldwide Limited 10 Year Warranty. Cruise Soft by Delsey Paris is made for the traveler who is looking for durable luggage with exceptional organization options. 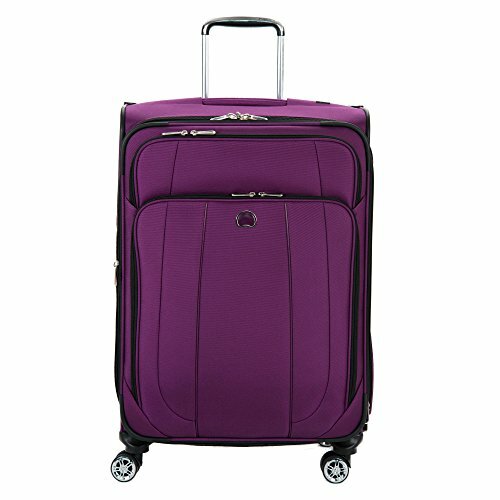 This 29 inch suitcase is fully featured to make your next trip a breeze and includes Elsey's 2nd Generation Overweight Indicator which determines if your packed case is over 50 pounds, which saves you incremental airline fees. The two front exterior pockets and a side easy-access compartment for shoes, toiletries or return home laundry make organizing your belongings easy. 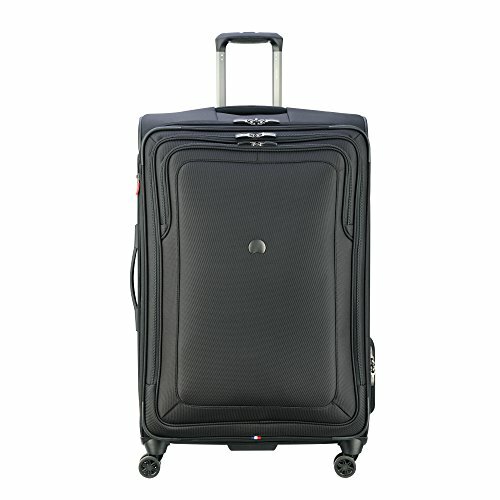 This case is maneuvered on double spinner wheels by a dual locking trolley handle with a neoprene non slip grip as well as a recessed neoprene cushioned top and side carry handle, which make lifting a fully packed case more comfortable. The interior of this case has a suiter clip, elastic tie down straps, 3 zippered pockets, a zippered divider in the lid for maximum organization, and expands up to 2 inches. The bag is made of ballistic nylon, which is extremely resilient and constructed for long lasting use. It also features extra rubberized protection around the corners of the case as well as an injected kick plate to offer additional protection at key stress points. The Cruise Soft collection is protected by a Worldwide Limited 10 Year Warranty. Bullet proof ballistic nylon fabric resists wear, moisture, dirt and abrasion. First to feature an easy access compartment for shoes, toiletries or return-home laundry storage. 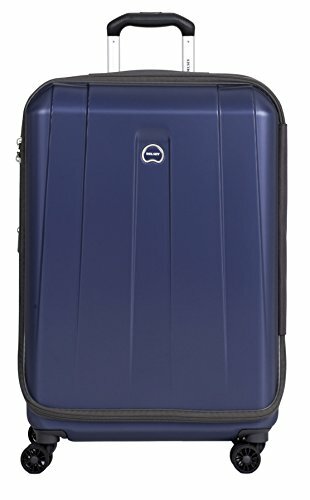 Built in the case, Delsey patented over-weight indicator allows to determine if your bag is over 50 pounds. Spacious ,fully lined interior. Silent-running, double spinner wheels assure smooth maneuverability and keep zero weight on your arm. Telescoping pull handle locks in two positions to accommodate 2 or 4 wheel use. Easy to grab bottom handle is great for overhead compartment or car trunk lifting. 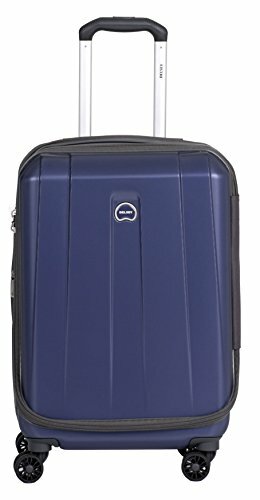 Delsey Luggage Helium Shadow 3.0 25 Inch Exp. 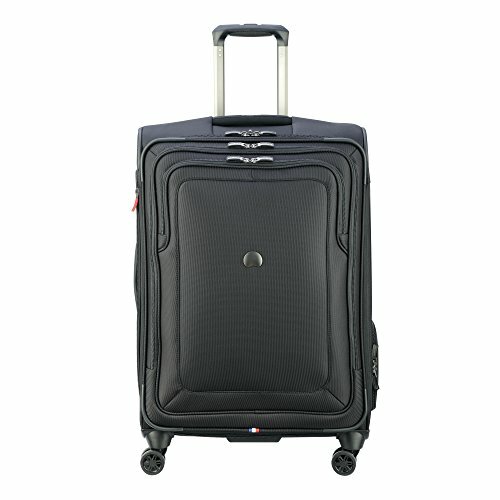 Compare prices on Suiter Luggage Trolley at Shopsimal.com – use promo codes and coupons for best offers and deals. We work hard to get you amazing deals and collect all avail hot offers online and represent it in one place for the customers. Now our visitors can leverage benefits of big brands and heavy discounts available for that day and for famous brands.